Located in the northern NSW Tablelands, Tenterfield and district is located on the New South Wales and Queensland border. A comfortable 3 to 3.5 hour drive from Brisbane and the Gold Coast, Tenterfield is the gateway to New England and North West New South Wales from the north, and South East Queensland from the South. Tenterfield offers excellent access for road transportation via the New England Highway and Bruxner Highway, which intersect in Tenterfield. The Bruxner Highway runs east/west from Ballina on the coast to Boggabilla/Goondiwindi in the west, and the New England Highway runs north/south from Toowoomba to Newcastle – providing access to stable, reliable and affordable heavy haulage, freight and public transportation. Additional access to Tenterfield is provided from Queensland via Mount Lindesay Road, which is currently undergoing a multi-million dollar state/federal/Council funded upgrade. 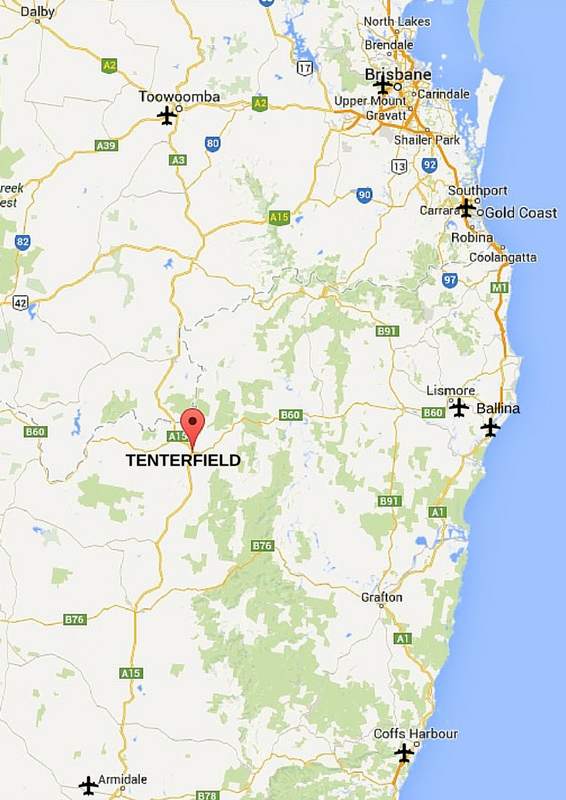 Tenterfield also has an air strip to the north of town, and a number of major airports within a 2 hour radius. Tenterfield houses a rail network that once connected the rail line at Armidale to the border of NSW and QLD (at Jennings/Wallangarra), however, while the infrastructure remains in place no rail services currently operate.